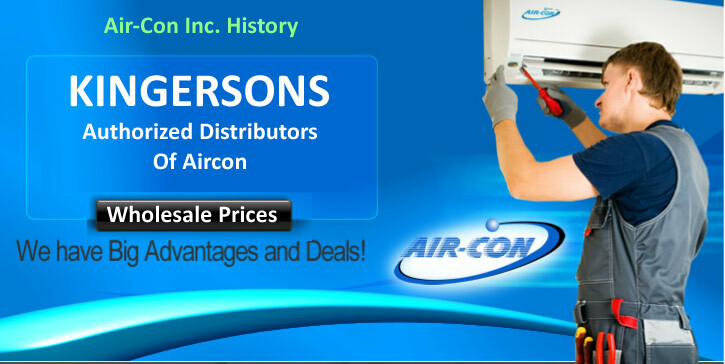 Air-Con Inc. is a Puerto Rican company fully committed to being the best air conditioning distribution company in Puerto Rico, and the Caribbean. Air-Con Inc. is synonymous of excellence and quality, which has been demonstrated in their 10 years of distributing world-leading products such as Daikin, Ducane, Honeywell, and Air-Con. Air-Con Inc. is a company respected for a high degree of integrity, professionalism, and commitment to serve its customers. Thanks to those efforts, Air-Con Inc. has been awarded by Ernst & Young as the best distribution company in Puerto Rico in 2005. Moving the company to the future are dedicated employees committed to excellence and the genuine passion to succeed. The company’s professional dealers and countries’ network enable us to serve you in every corner of our territories. Our Bronze Series of units offers affordable air conditioning with all the features you come to expect from mini split units. » Dehumidifying function: system is able to control proper rate of circulating air; managing effectively dehumidifying process under a low power consumption speed, sustaining room temperature. » Environmentally Fiendly Support: Our Mini Split Condenser operates with ecological awareness refrigerant R-410A protecting our fragile environment. » Energy Saving System: adopts an advanced control method allowing power to adjust in wide ranges. The system startups from low speed to high speed efficiently, reaching the desire temperature rapidly and maintaining operation under a maximaxed energy saving speed. Consumers can economized 30-40% of power consumption. » Installation Kit included: Completely equipped with 15 feet of copper tubing, insulation and electrical wiring for faster installation. Strong Warranty: We support our mini split/ system with a 5 year limited warranty on the compressor and 1 Year on all electrical parts. » These units are ETL Verified. » Installation kit includes 15 feet of copper tubing and insulation. DC Inverter adopts an advanced control method allowing power to adjust in wide ranges. System operates with ecological awareness refrigerant R-410A, helping protect our fragile environment. 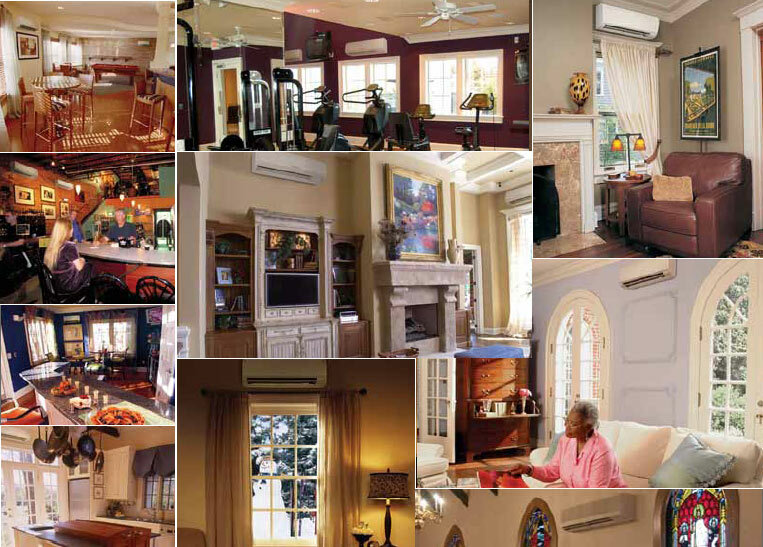 Our mini splits are heat pumps, which means that you can use them to cool a room and also to heat it. AHRI Listed, ensuring the stated SEER value is reached. 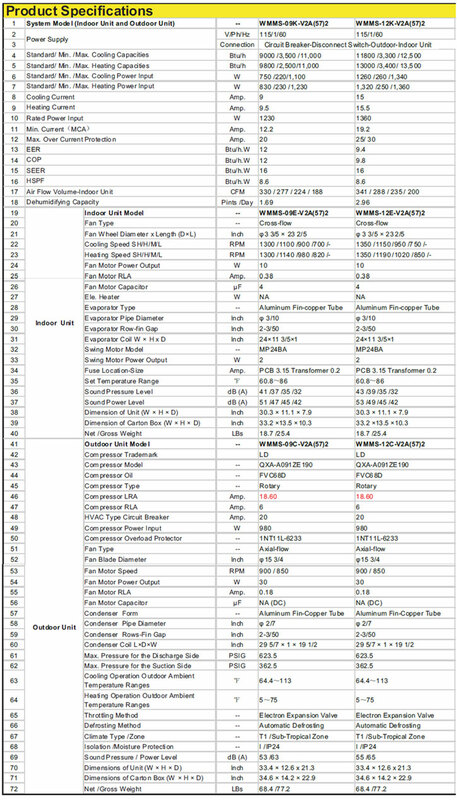 Our System is supported with a 5 year limited warranty on the compressor and 5 year warranty on all electrical parts.